Every year American Legion Post 370 in Louisiana holds a Memorial Day service. 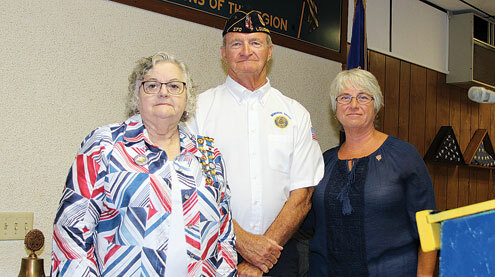 This year Marilyn Johnson and Cindy Blaylock of DAR presented Post 370 Commander Ed Pennington with the Patriot of the Month award. They pointed out that Pennington spent eight years in the United States Marines and traveled to many different places. Ed continues to serve on the veteran color guard that performs at funerals.